11.5.1911: Launched by Smith’s Dock Co Ltd, South Bank-on-Tees, Middlesbrough (Yd.No.471) for The New Docks Steam Trawling Co (Fleetwood) Ltd, Fleetwood as CLARA BELLA. 15.6.1911: Registered at Fleetwood (FD138). 6.1911: Completed at a cost of £7,881 and insured for £7,000. Ernest Tomlinson appointed manager. 29.6.1911: At Fleetwood landed from first trip. 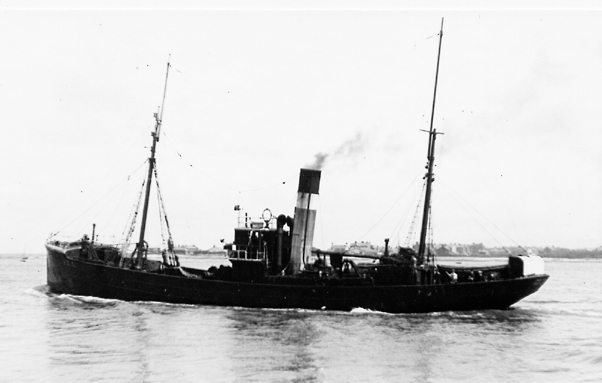 26.1.1914: Sailed Fleetwood for Icelandic grounds (Sk. Harry Kluver); thirteen crew in total. 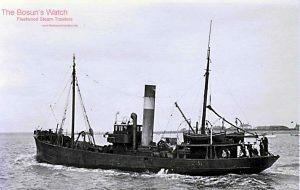 Early 2.1914: Reportedly seen by Grimsby trawler SWEEPER (GY853) (Sk. James Westerby), five or six miles SW of Reykjanes Peninsula, SW coast of Iceland. 14.2.1914: Seen anchored at the entrance to Onundafjord, west coast of Iceland by Sk. Henry Steel of steam trawler INA WILLIAM (GY872) which, with other trawlers, was sheltering from extreme weather. Later same day when weather lifted she was not seen. 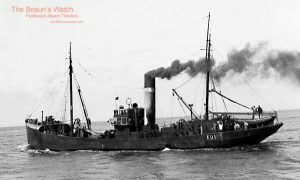 Assumed that she had left to resume fishing though the weather closed immediately and continued with heavy easterly gales, continuous snow storms and icing for a further ten days. 1.3.1914: Missing from this date. 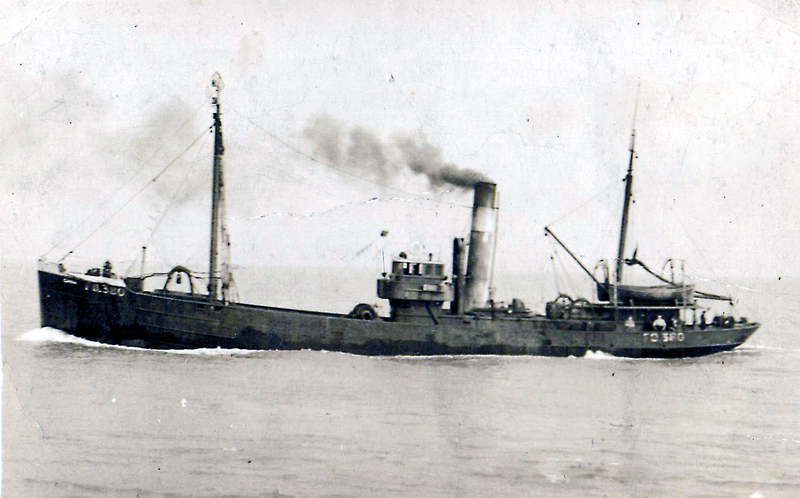 29.4.1914: At Lloyd’s “… put up for inquiry as very much overdue”. 5.5.1914: At Lloyd’s “… posted as missing”. (Lost – all Fleetwood unless stated – Sk. Harry Kluver, Hull; Thomas Newby (34), Mate; Robert Henry Gawne (20), Bosun; Martin Burnett, Kintore, Aberdeen, Ch Eng; Oliver Crosswell (Australian), 2nd Engineer; William Braham (19) and Richard Tomlinson (17) deckhands; James Patterson (25), Patrick Gregan Jnr (20), J. Blackwood, ? ?, spare hands; William Stone, (29) & James Maher, ? ?, firemen; Archibald McLean (66), cook). 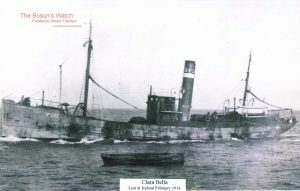 The last sightings of the CLARA BELLA were by the Grimsby trawlers (INA WILLIAM, the SWEEPER, and the CHALCEDONY). The INA WILLIAM put in for shelter in an Onunderfjord off the west coast of Iceland on February the 10th 1914. There were many trawlers sheltering there due to the extreme weather conditions at the time and most of the vessels were encased in ice. 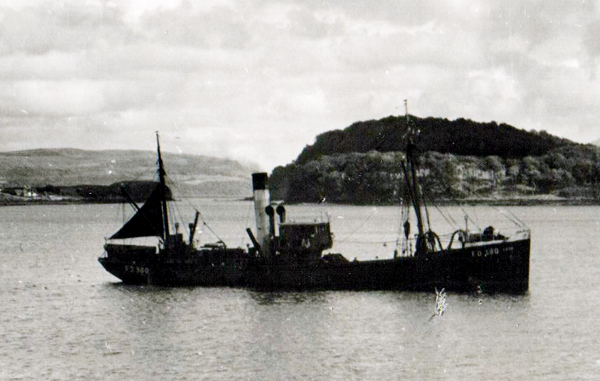 The Skipper, Henry Steel, recalls seeing a Fleetwood vessel anchored near the entrance of the Fjord. He remembered it because at the time, he had thought it was a bit of a novelty to see a Fleetwood trawler at the Icelandic fishing grounds. 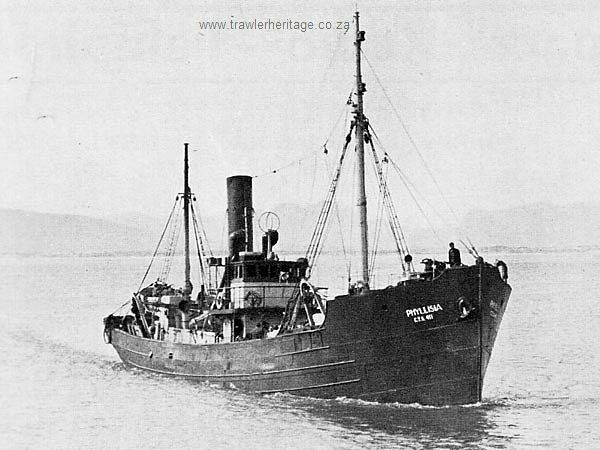 Skipper Steel went on to say that two hours later there were slight breaks in the snow storms and that is when he noticed that the Fleetwood trawler had disappeared. He concluded that they had possibly ‘Slipped out to try for fish’. He told the Board of Trade enquiry, ‘The weather thickened again almost immediately and continued with heavy easterly gales and continuous snow storms for the next ten days’. 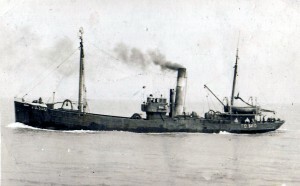 James Westerby, Skipper of the Grimsby trawler SWEEPER, said he saw the Fleetwood trawler in early February off Csar Bay, five or six miles South-West of Rykgaves on the South-West coast of Iceland. 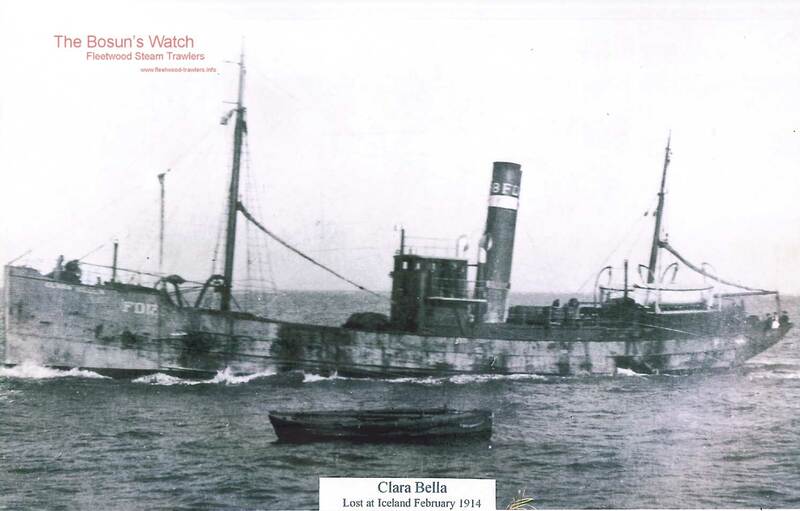 Why the CLARA BELLA had left was not known, but no trace of her had been found since, nor had any wreckage been found. The presumption was that either she had gone down in the blizzard or she might have struck a rock or floating ice. 13/10/2017: Removed FMHT watermark from image. 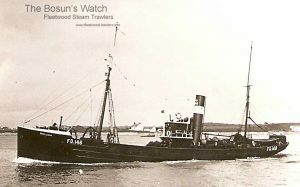 This entry was posted in Lost Vessels, Steam Trawlers, Steamers (Picture) and tagged Lost, New Docks STC on May 18, 2012 by Fred Smith.